It’s a big, ambitious production, full of fun, drama, romance, dance and big familiar songs, delivered with considerable skill and bucket-loads of enthusiasm. 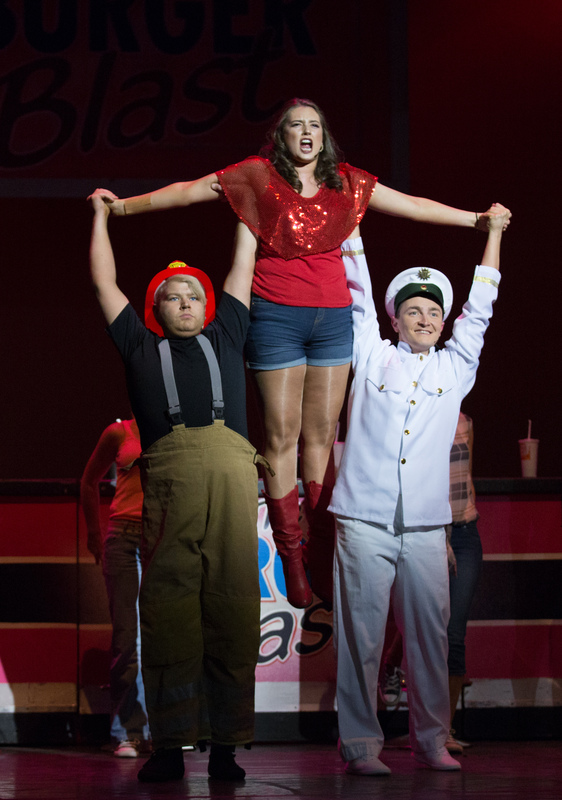 The musical stage show of Footloose is based on the smash hit 1984 movie starring Kevin Bacon. It tells the story of Ren McCormack, a feisty Chicago teenager, who along with his mother, moves to the small Midwestern town of Bomont, where dancing and modern music have been banned at the behest of the up-tight local minister. Over two acts it charts the up and downs of Ren’s efforts to first fit in then change things in his new home, where life for the younger generation has been stifled following a tragedy five years earlier. One of the great pleasures of an evening at the theatre is sitting back, suspending reality for a couple of hours and enjoying the ability of the performers, musicians and their behind-the-scenes team to transport you to different places, times and dramas. Knowing all those working so hard to deliver that slice of escapism take to the stage as a hobby rather than to earn their living, can, as it did on the opening night of Footloose, add to the pleasure. IMT, known as Inverness Opera Company until four years ago, has a proud history of bringing crowd-pleasing shows to audiences in the Highland capital since they first took to the stage with Gilbert and Sullivan’s Mikado, in 1947. 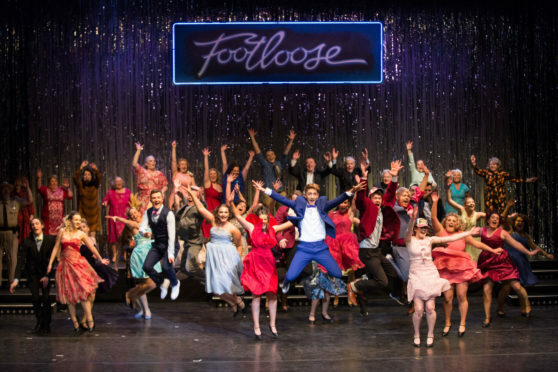 And it has every reason to be proud of adding Footloose, ably directed by Susan Munro and choreographed by Dionne Monteiro, to its lists of honours. Alastair Davidson and Olivia Payne put in fine performances in the lead roles of Ren and rebellious minister’s daughter Ariel Moore, as part of a 36-strong cast and ensemble. Roller-skating diner staff and a motorbike roaring onto stage are all part of the cleverly thought-out fun as the story unfolds through 19 scene changes. Among the many big numbers of the night, a gloriously over-the-top rendition of Holding Out for a Hero, with Poppy Charteris, Heather-Jane Davidson and Caitlin Macleod, to the fore as Rusty, Wendy-Jo and Urleen respectively, proved a particular audience pleaser. 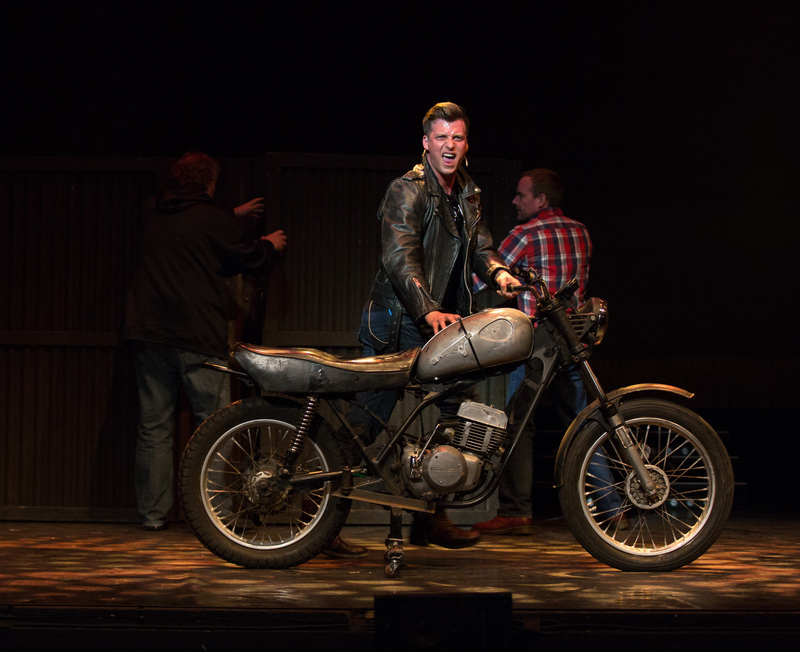 Footloose will be ripping up the town at Eden Court Theatre, Inverness, until Saturday.